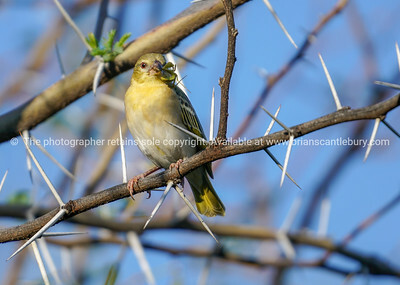 Southern Masked Weaver female with praying mantis in beak perched between thorns on acacia tree branch. 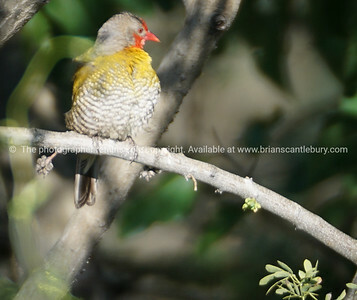 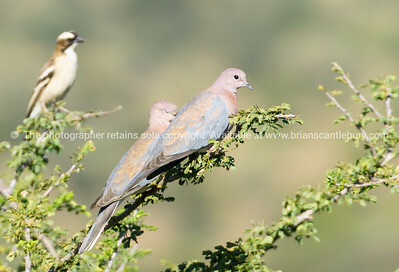 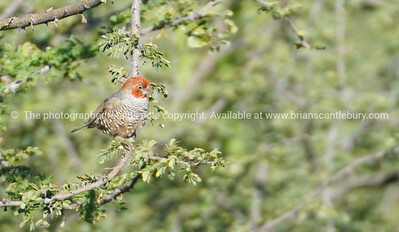 Green-winged pytilia on branch in Namibia. 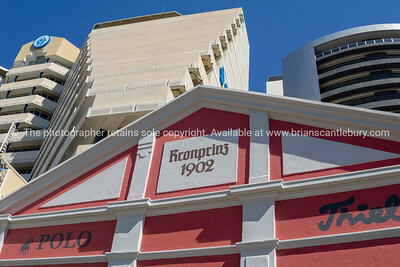 Twin spires of St Mary's Cathedral city church. 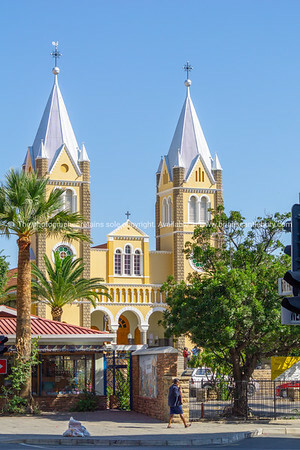 WINDHOEK NAMIBIA - MAY10 2018; Twin spires of St Mary's Cathedral city church. 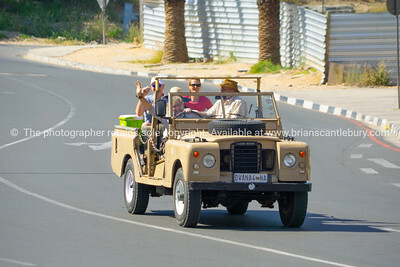 Group tourists being driven through city in open 4wd with guide. 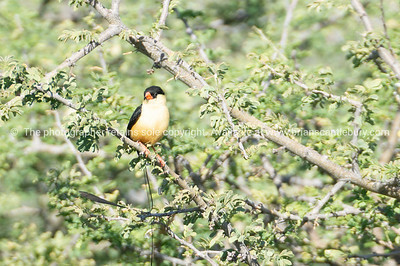 Shaft tailed or queen whydah male portrait a small, sparrow-like bird in acacia branch in Namibia. 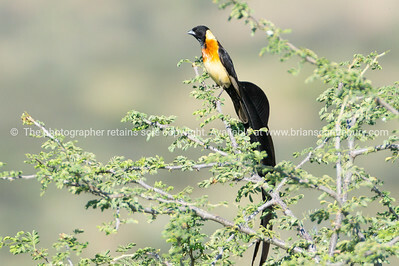 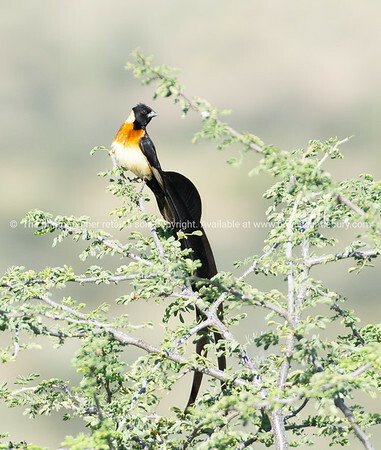 long-tailed paradise whydah or eastern paradise whydah in tree. 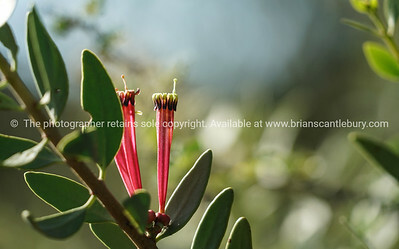 lighting matches, mistletoe small upright parasitic flower. 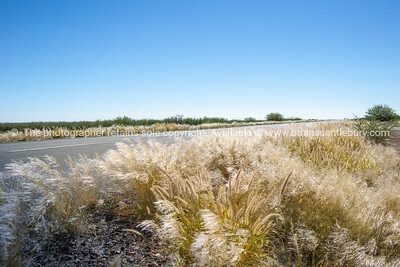 Silvery grass typical in sun and breeze along roadside lansdcape on Nambian highway. 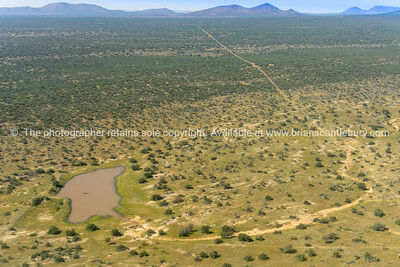 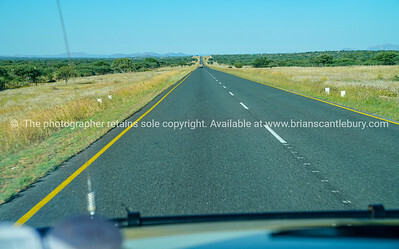 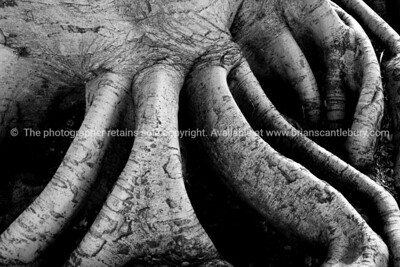 Namibian landscape aerial showing acacia tree speckled flat plains, long roads and waterhole. 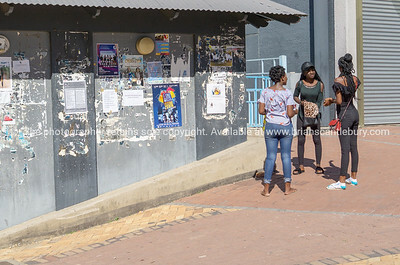 Group three African young women standing street conversing in front grungy wall of peeling posters. 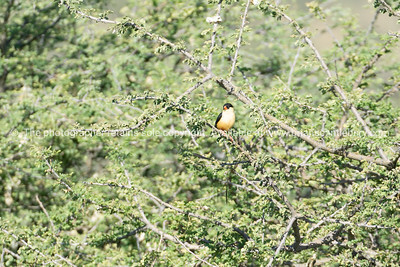 Shaft tailed or queen whydah male a small, sparrow-like bird in acacia branch in Namibia. 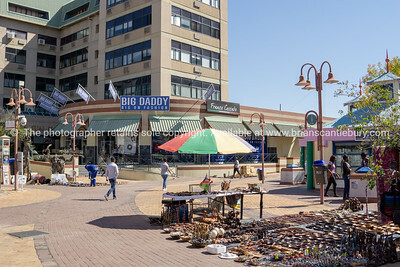 Tourists under shade shelter viewing a historical information display of town of Rehoboth. 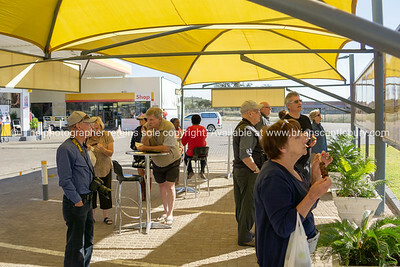 Tourists under shade shelter viewing a historical information display of town of Rehoboth. 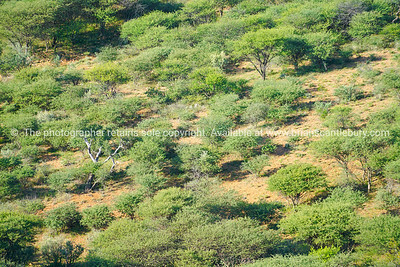 Model/property release; NO, please use for personal or editorial use only. 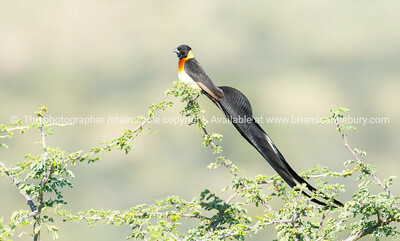 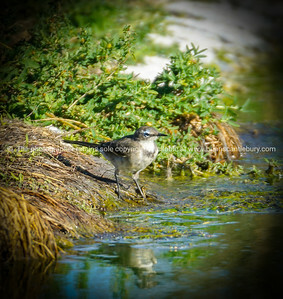 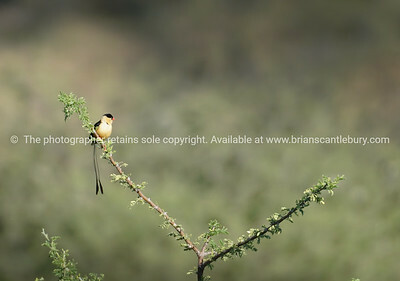 the tiny but beautiful shaft-tailed wydhah on acacia tree branch in Namibia. 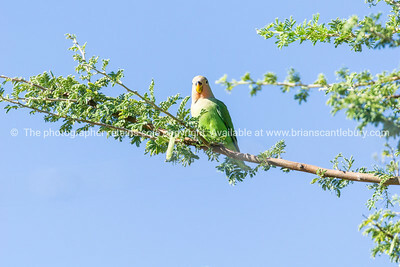 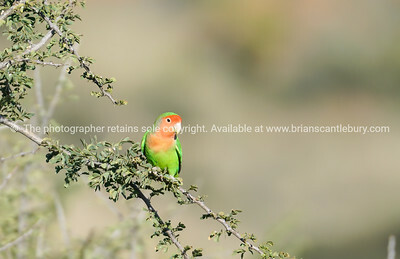 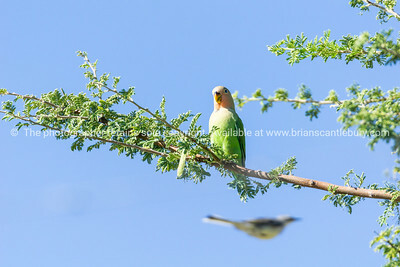 Beautiful rosy-faced lovebird in acacia tree. 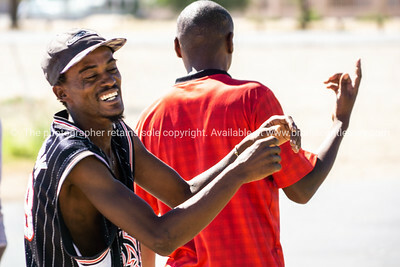 Two African men having a laugh with arms up. Two African men having a laugh with arms up on side of road. 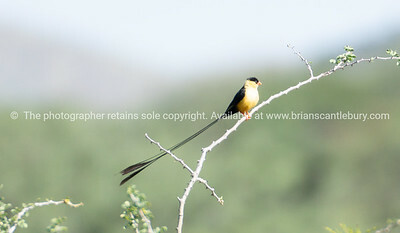 Model/property release; NO, for personal or editorial use. 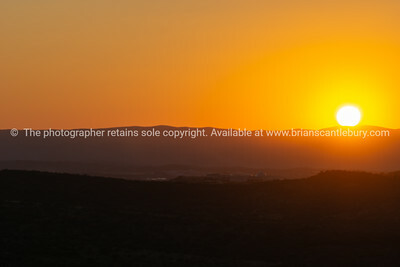 Typical African sunset bright yellow orb of sun just kissing horizon in brilliant red sky over silhouette landscape. 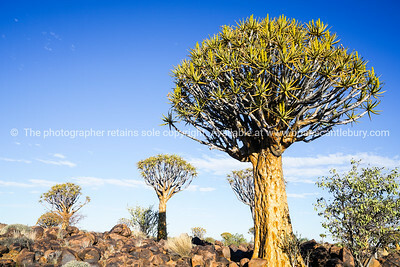 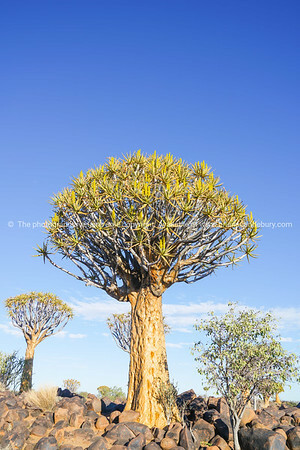 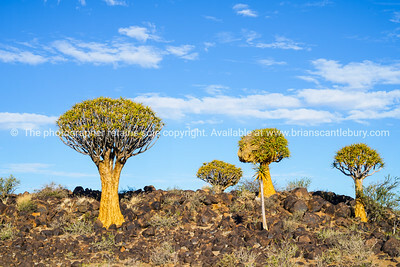 Distant acacia tree covered African landscape in Namibia. 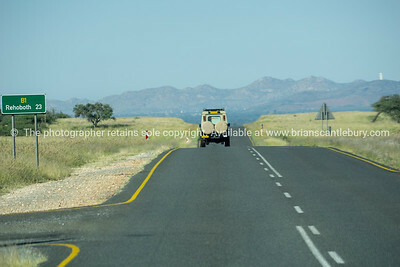 Safari vehicle parked by sealed road with shadow. 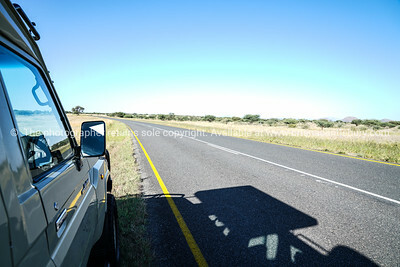 Safari tour vehicle parked by sealed road with shadow. 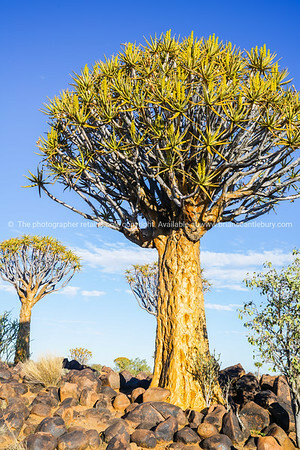 Woman facing away and bending over her baggage with two small children waiting to be collected. 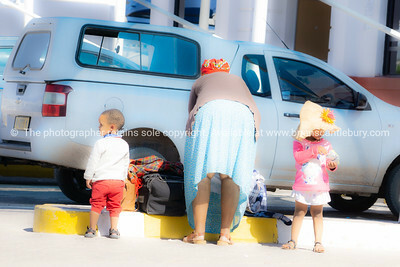 Woman facing away and bending over her baggage with two small children waiting to be collected. 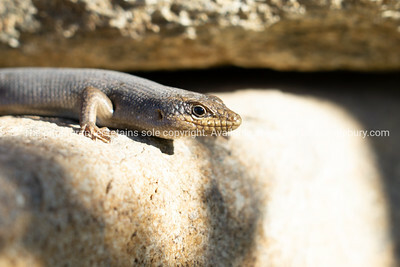 Model/property release; NO, for personal or editorial use. 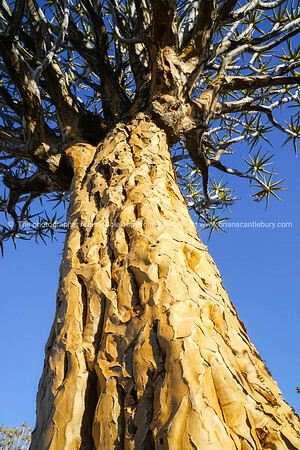 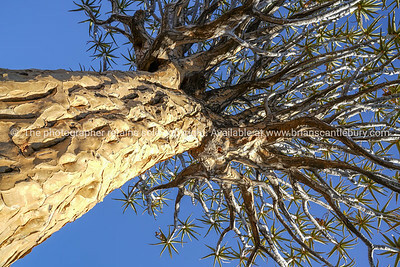 Golden glow as sun sets on crinkly bark of of large aloe in Namibia Quiver Tree Forest landscape at Keetmanshoop diagonal composition.